AL!VE members are invited to attend this welcome webinar. New members will get a brief overview of our mission, benefits, activities and committees. Existing members can get a refresher, check in and ask questions. We'll share updates on what's happening on a regional or national level, upcoming announcements, activities, calendar events and trainings. Meet a board member or two and make some new connections! This is a free webinar presented by VolunteerMatch. For more information, visit their website. You're under no obligation to participate in the conference by attending the informational session. This is a free webinar sponsored by Verified Volunteers and presented by Beth Steinhorn, CVA. To learn more and register, visit their website. America's Service Commissions (ASC) the next round of Regional Training Conferences in 2019 and are hosted in partnership with each of the corresponding state service commissions. This is a free webinar presented by VolunteerMatch. To learn more and register, visit their website. 1 in 5 adults in the U.S. experiences mental illness, which means that means many of our current and potential volunteers are living with mental health conditions. In this interactive webinar we will cover simple tools, practical strategies, and next steps to create a volunteer program that welcomes, supports and sustains volunteers with mental illness. By the end of this training, participants will be better able to recognize some common symptoms and communication strategies, identify concrete steps that any organization can take, and create their own short and achievable action plan of next steps to better support volunteers with mental illness. 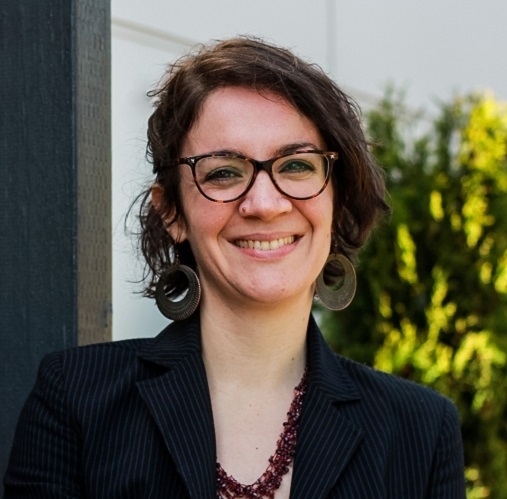 Katie has worked with the Seattle office of the National Alliance on Mental Illness since 2015, where she oversees NAMI Seattle's community-based, volunteer-led programs. She received her Master’s in Social Work from the University of Texas and has 13 years of nonprofit experience in program coordination, volunteer management, and direct client services. Katie also sits on the steering committee of the North King County chapter of the Volunteer Administrators Network, and has served as a coordinator with Kids & Race, a Seattle-based organization that provides racial justice trainings for families and educators. She regularly provides trainings on topics such as Mental Illness & Communication Skills, Supporting Staff Mental Health in the Workplace, and De-Escalation Strategies. This is a free webinar presented by Volunteer Match. To learn more and register, visit their website. Do you work with volunteers and are looking for leadership, educational, and networking opportunities? Then come join the North Carolina Association of Volunteer Administration for our 2019 Statewide Conference May 15 th - 17 th! Don't forget to pack your sunscreen because we are heading to the beach at Kitty Hawk. This is a fee-based webinar presented by VolunteerPro. To learn more and register, visit their website. Volunteer involvement has changed over the past 20 years, challenging leaders to adapt to a savvy New Breed of volunteers. Plenty of volunteers are willing to get involved, but they’ll become involved according to their rules--not yours. In this hands-on ½ day workshop, Tom will describe seismic shifts that have created a new volunteer culture. Some of these seismic shifts include the widespread emergence of technology, the episodic volunteer, twitch speed, and the development of a knowledge-based economy. But Tom won’t leave us is a quandary. He will tell us how we can take advantage of these shifts to mobilize the power and passion of a whole New Breed of volunteers. Tom offers fresh strategies for volunteer involvement today. You will learn the following: marketing, recruiting, motivating, leading and coaching skills. Deadlines are time sensitive and full details can be found on the Call for Submissions flyer including submission guidelines. You invest in training volunteers, and you need to get them up to speed efficiently, accurately, and with a great experience that brings them closer to your work and your mission. Online training is a wonderful tool for scaling up – or expanding out – your volunteer engagement strategy. Ways to address fears coming from volunteers, staff, and yourself! About our Presenter: Tomomi Suenaga Summers, Director of eLearning with Nonprofit Connect, has worked with volunteers professionally for a decade and has volunteered since childhood. She brings expertise in volunteer engagement, nonprofit leadership, eLearning, and education, and truly values just being helpful. 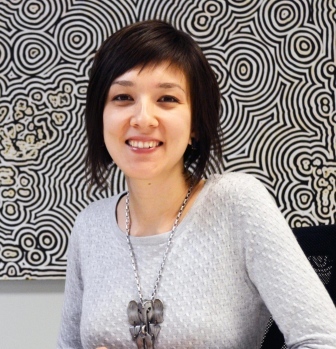 Tomomi finds her BFA in Secondary Art Education to be surprisingly relevant to the world of volunteer engagement, and she’s honored to champion volunteers and the people who lead them. The 2019 Points of Light Conference will be held June 18-20, 2019. Volunteer leadership is a challenging and rewarding career field. Until you are in the role, you cannot completely comprehend what it is, and your role continually changes. Volunteer leaders are both a mystery and a phenomenon. Navigating the role and the “loose expectations” is often left up to you, the volunteer leader. You are often allowed to define your role and expected to produce proof you are succeeding. If we don’t ask the right questions, we will never get the right answers. This very brief “tour of the volunteer process” seeks to ask if you can communicate to your community the true impact your volunteers provide. This is an opportunity to look beyond the age-old questions typically asked of volunteer leaders: ï‚· How many volunteers did you have last year? ï‚· And how many hours did they serve? Volunteering is about people, the mission and impact this partnership has on a community. Volunteer leaders should be able to tell the story. Discover how you can tell your success story and be able to impact real decision-making in your organization! Sharing my passion for volunteerism, I help organizations and volunteer resource leaders with seamless technology tools to start, manage, evaluate and grow your unique volunteer program’s success. With 14 years of service as a Volunteer Services Director and proficiency in streamlining processes, I can help you tell the story of how volunteers impact your organization and community. A University of Michigan graduate, with 30 years of experience in both non-profit and global for-profit business sectors, it is a privilege to help empower you to exceed your goals regardless of your industry, size and geography.